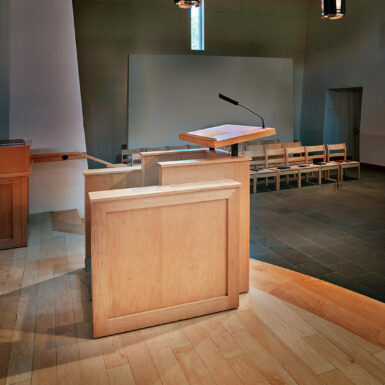 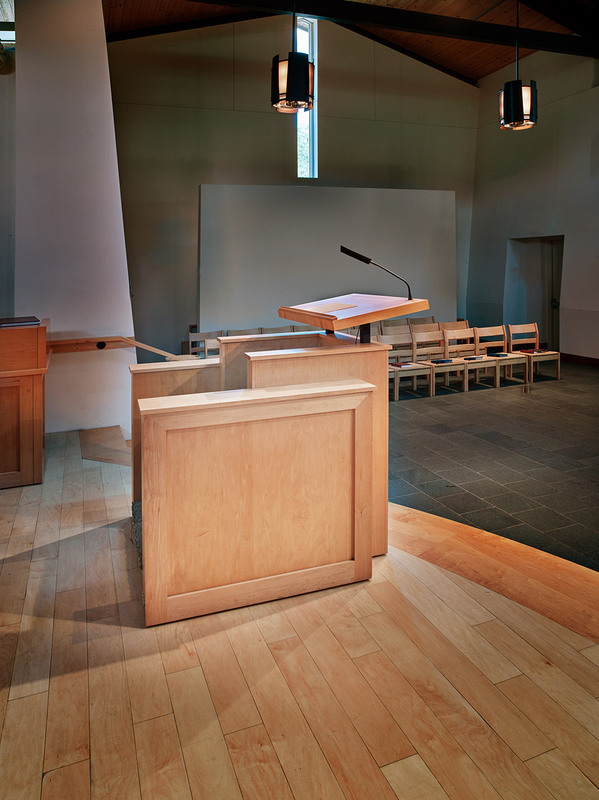 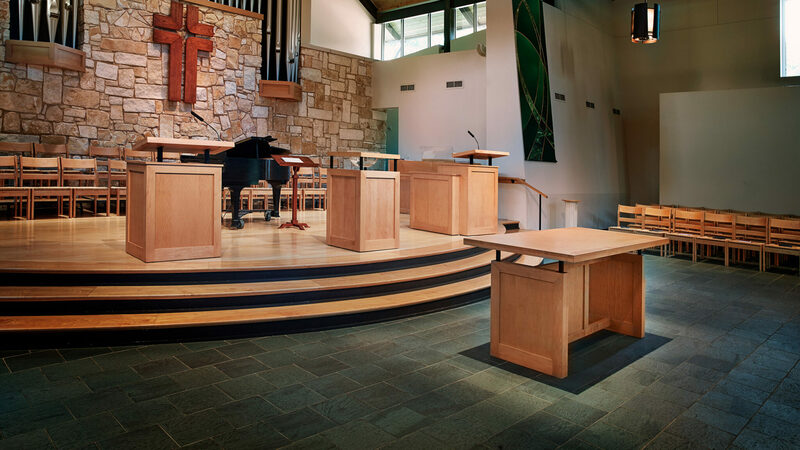 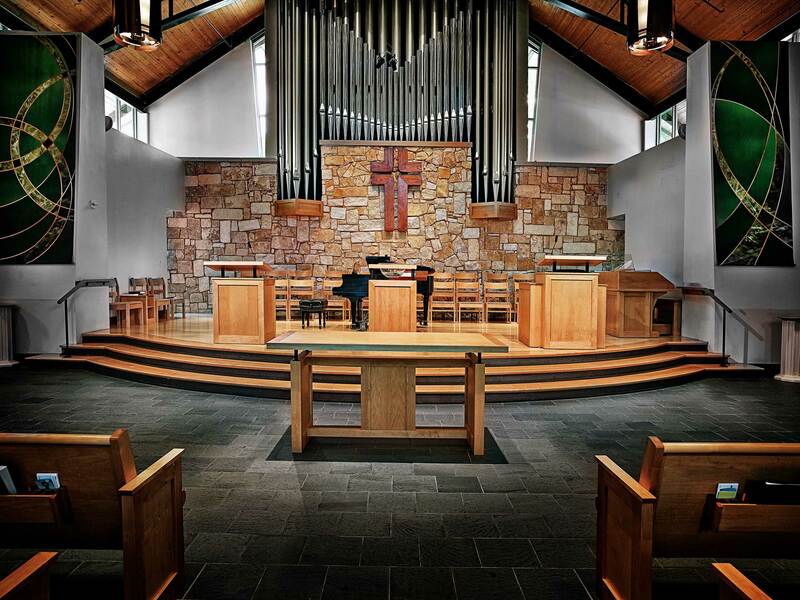 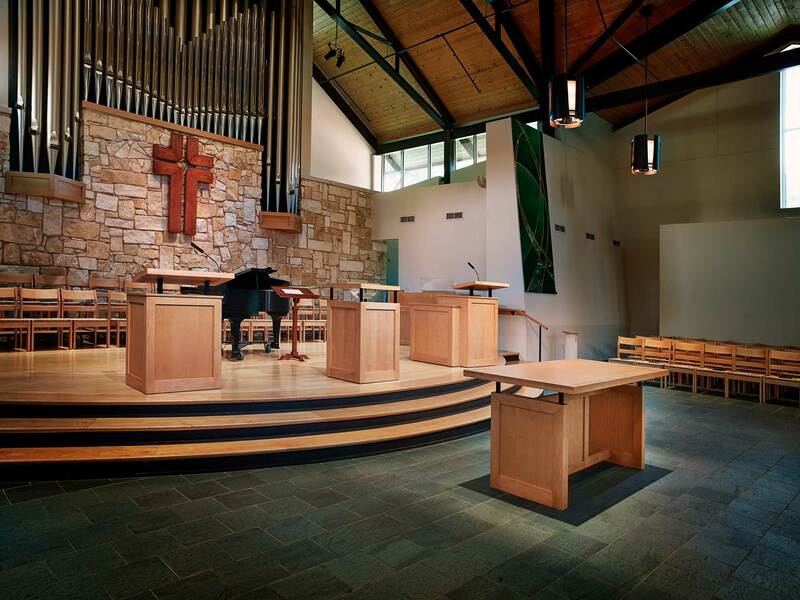 When our small Presbyterian church added a new sanctuary, I was on the building committee, but I was not the architect for the project. 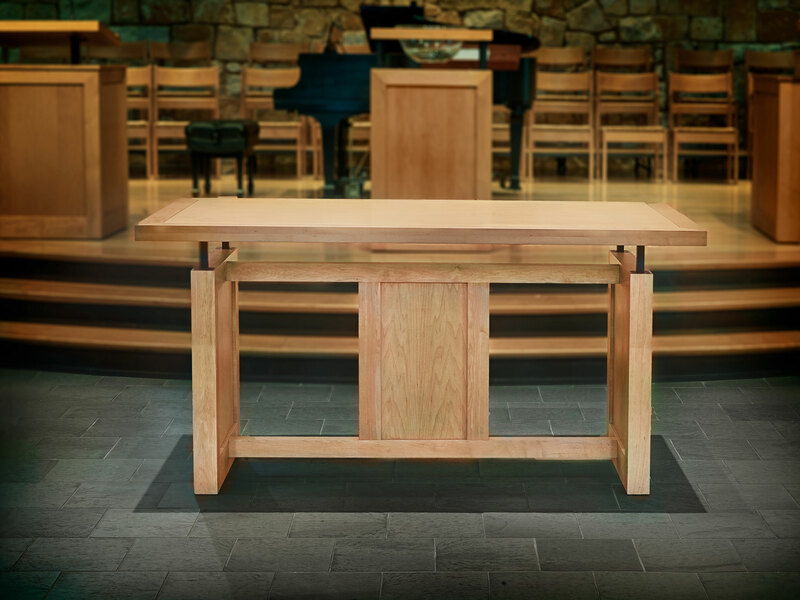 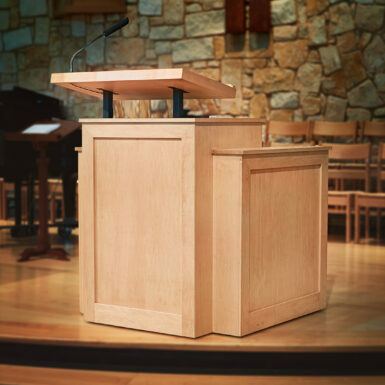 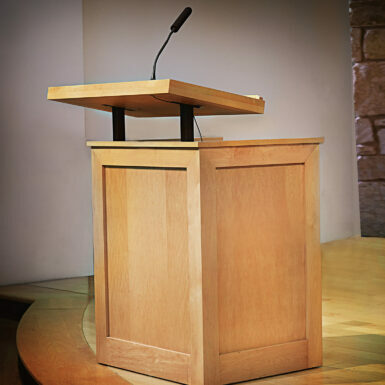 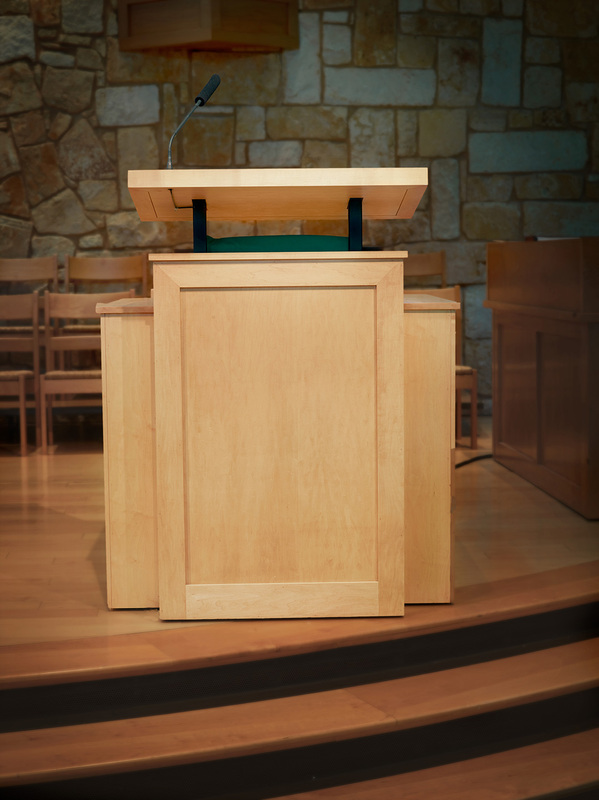 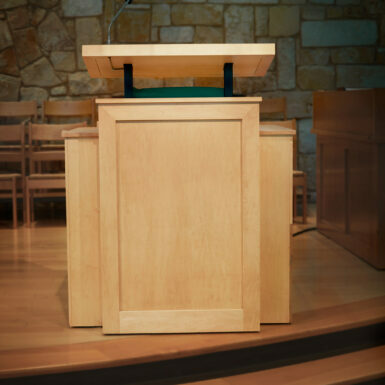 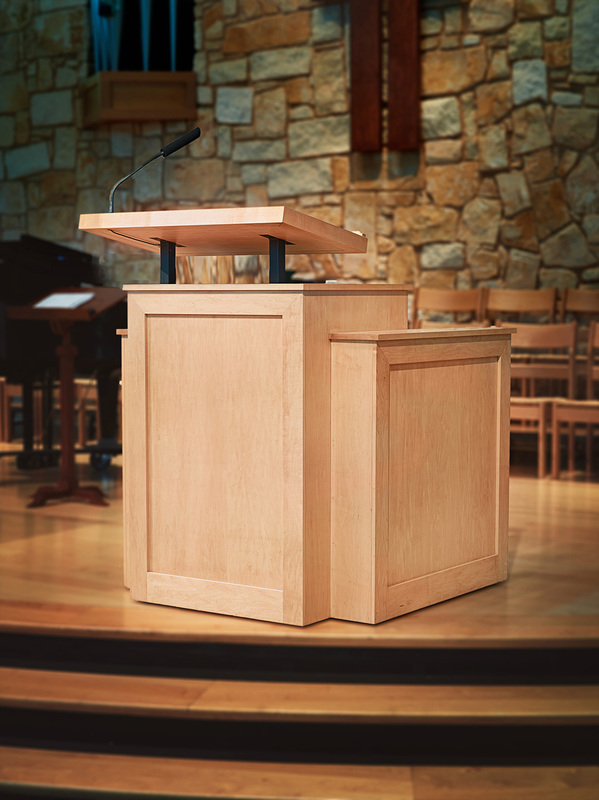 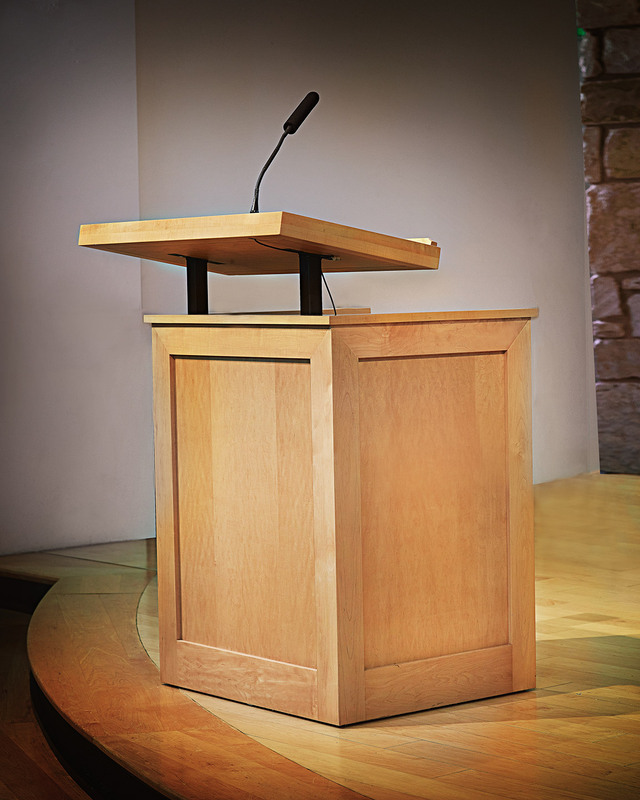 When we needed to design the chancel furniture (pulpit, lectern, baptismal font, and communion table), I offered to do that pro bono. 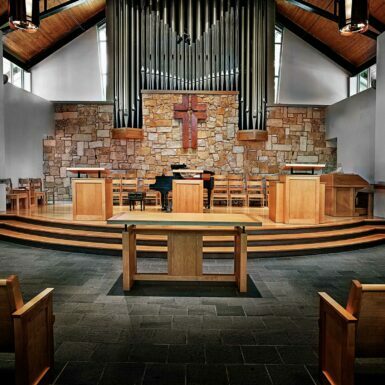 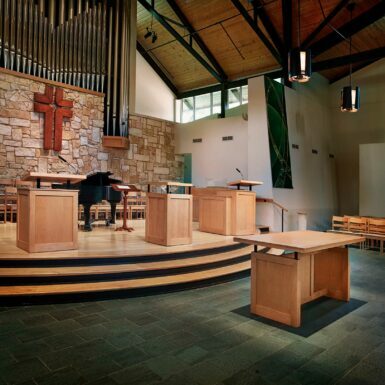 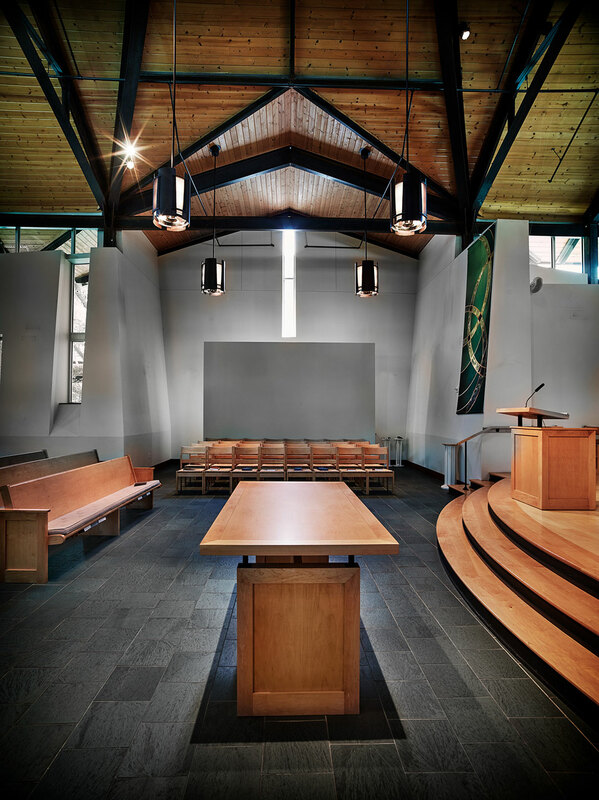 The sanctuary itself is rendered in a palette of natural materials and colors…with black steel roof trusses adding a functional and modern accent. 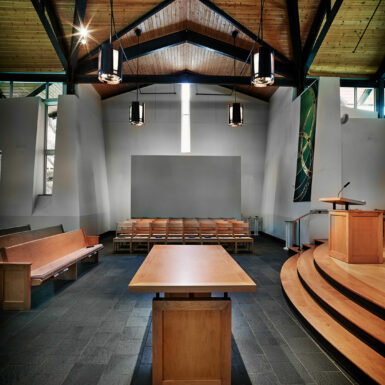 The four pieces were designed to mimic some of the details and materials of the pews…while picking up the black steel of the trusses as minor, functional accents to each piece. 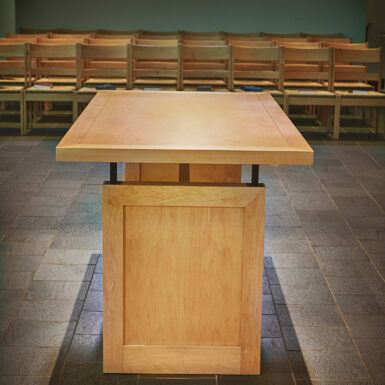 The pieces had to be obviously from the same family…and yet each had to address the functional needs of the liturgy. 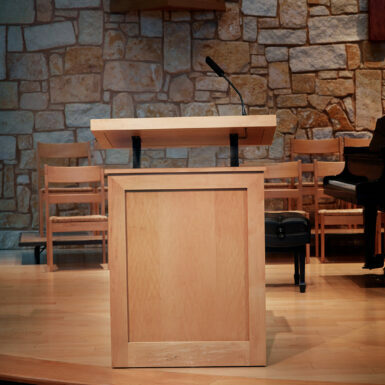 Presbyterian churches do not have altars. 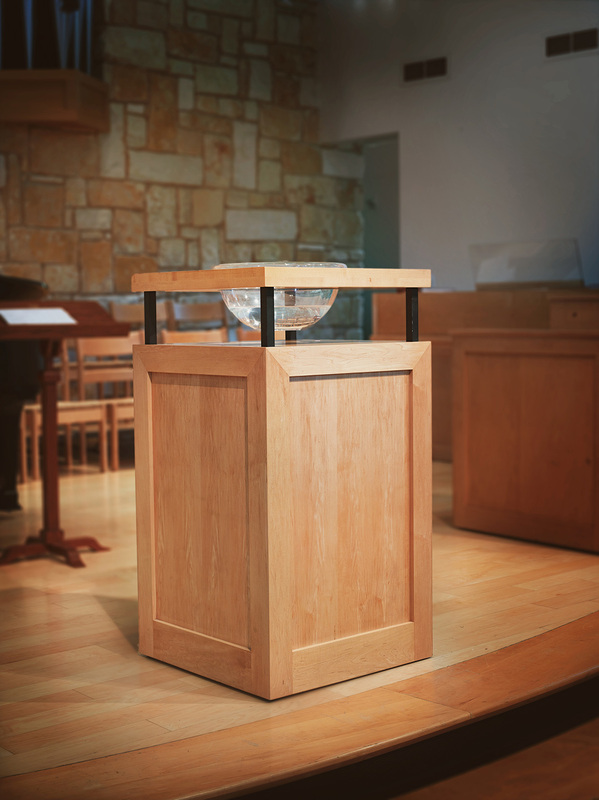 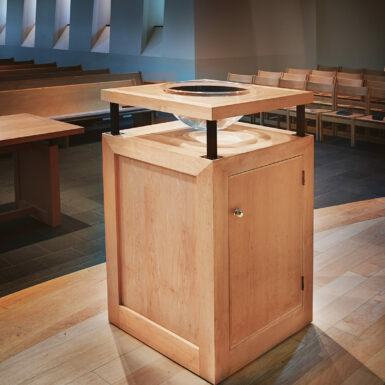 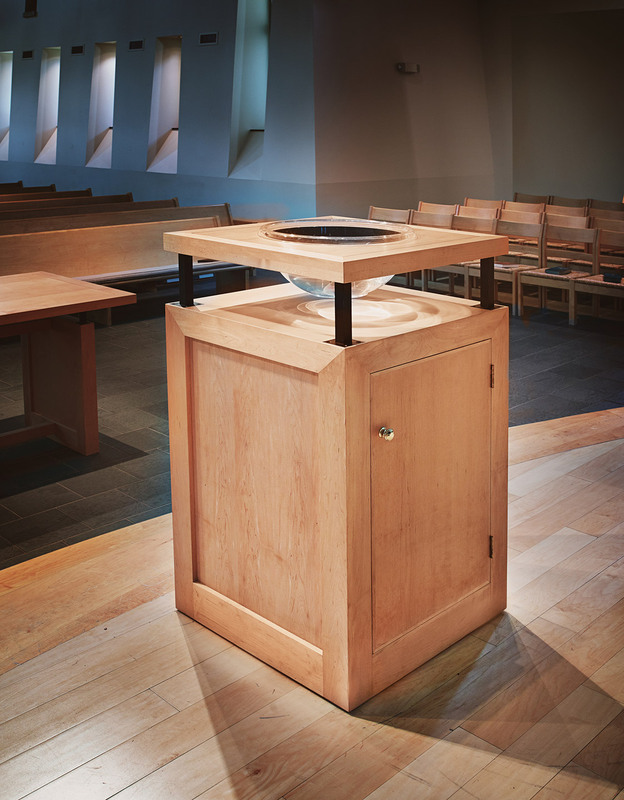 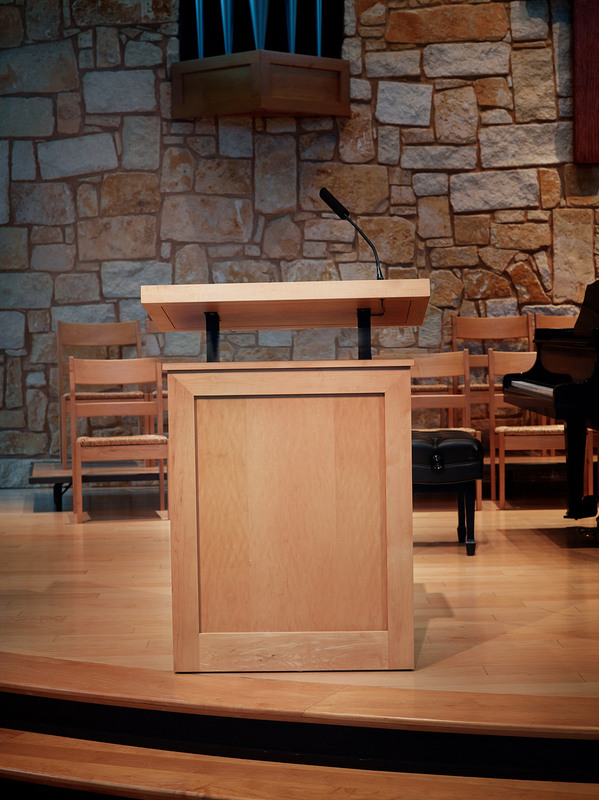 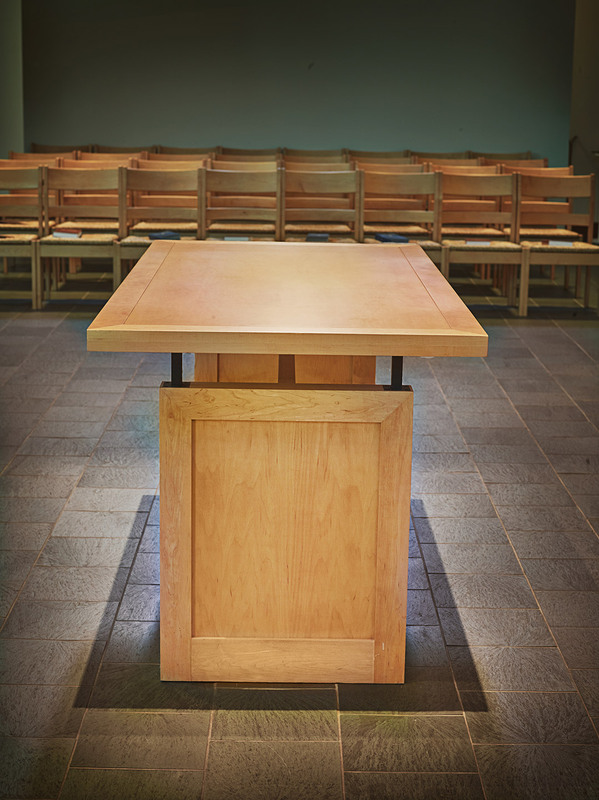 The communion table functions as the altar, but the symbolism is completely different. 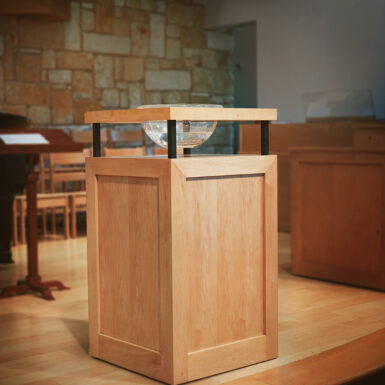 Instead of being a sacred object that sits away from the congregation…as most altars are…the communion table sits closer to and essentially within the congregation…and all are welcome…to any side of the table. 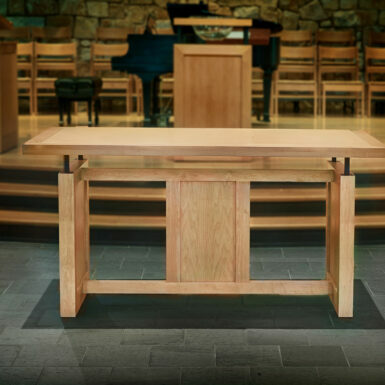 All of the pieces had to be substantial enough in appearance to hold their own visually in a large space…but all four pieces had to be able to be easily moved for different liturgical events, concerts, and special programs.